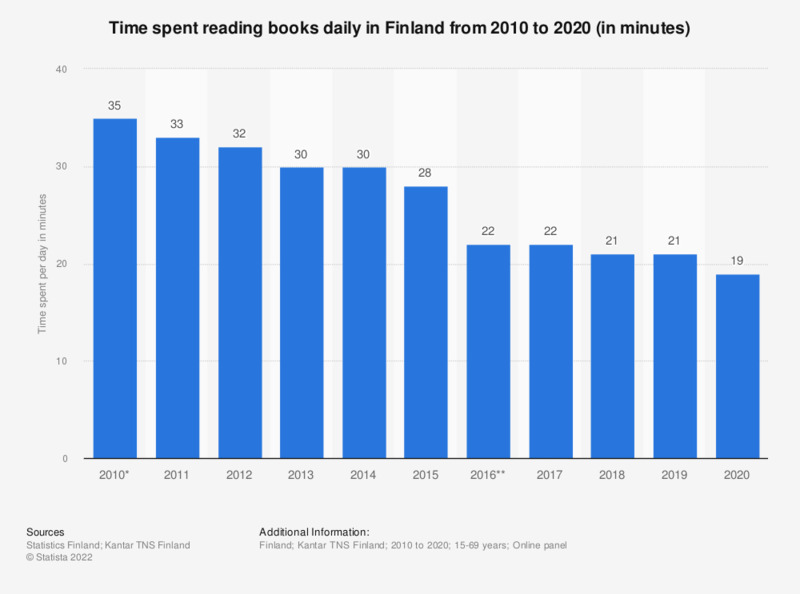 This statistic displays the result of a survey on time spent reading books daily in Finland from 2011 to 2017. As of 2017, respondents spent 22 minutes per day reading books. Since 2016, figures include only fiction and non-fiction literature as reading textbooks was excluded from the survey.